In 2018 ICOM’s International Committee for Regional Museums (ICR) and ICOM’s International Committee for the Training of Personnel (ICTOP) will join forces to consider how best to prepare those working in and with regional museums to manage their museums in constantly changing political environments. Colleagues from ICOM Aotearoa New Zealand look forward to welcoming us. ICR’s Annual Conference in Finland in 2017 identified many of the new political realities facing regional museums in many countries and some of the implications for museum practice. 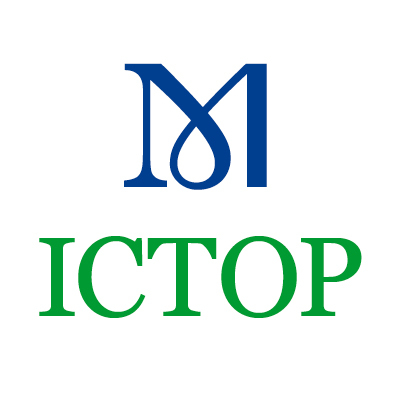 Meanwhile, ICTOP’s Annual Conference in Namibia in 2017 addressed issues related to training for collaboration, i.e. discussed multi-layered ways to build relationships with local communities including community participation in exhibition development, collections management, museum governance etc. For 2018 we (ICR & ICTOP) decided to combine efforts and continue to pursue these themes and to address urgent questions in order to prepare museums, especially regional museums, to thrive and serve diverse communities in times of uncertainty. New economic, social and cultural policy, populist ideologies, shifting demographics, pressures on national boundaries, unexpected political alliances, threats to internal security, technological innovations, environmental events and much more – all of these can have implications for regional museums and their operating context. What can we learn from international museum practitioners and colleagues training museum staff? And what they could learn from regional museums’ experiences? What are the most challenging issues affecting regional museums today and in the future as many countries experience great political change? How can regional museums prepare their staff to understand the new realities? Given the many political changes how do regional museums know where to concentrate their efforts in order to provide the best service to their communities? What training do we need to be able to understand changing political realities and their impacts on regional museums? What are the best strategies for regional museums to stay true to their mission when national government policies change radically? What skills or tools do regional museums need to acquire to ‘future proof’ their staff to cope with constant external change? How well do regional museums understand their collections and the ways in which they could play a role in building resilient communities? How can regional museums deal with differing perspectives on their communities’ histories? How can we build regional museums’ capacity to identify changes in the society that will impact on their ability to serve their communities? How has immigration from abroad or internal migration changed your community? Have some topics now become too difficult for museums to include in exhibition and public programmes? If so, can a special training programme prepare museum staff to address those topics? What changes have you made to adopt new professional practices or attract new partners and new audiences in response to external changes? What can we learn from New Zealand where museums have been developing bicultural museum practice and partnerships, yet operate increasingly in a multicultural environment? What can we learn from New Zealand’s museums-related training experience(s)? The joint ICR & ICTOP 2018 conference in New Zealand will explore the issues which regional museums are facing now and in the future in their wider operating environment. A range of presenters will consider also training strategies to prepare foremost regional museum staff to meet and manage new challenges. Bringing together ICOM members involved in regional museums and those active in training and supporting museum professionals’ development, the conference anticipate lively discussion and valuable exchanges of ideas and experience. There will be opportunities to network with international colleagues and those working in New Zealand’s dynamic bicultural museum sector. As is customary for ICR and ICTOP, this will be a two-site conference, with a mix of museum and university venues. The main conference will start in Auckland on 5th November, and then move to Wellington for the final formal session on 9th November. Participants will get a chance to experience both rural and urban New Zealand, travelling by coach between Auckland and Wellington with museum visits including conference sessions and an overnight stop in the central North Island. Relevant pre- and post-conference optional events are also being arranged. Announcement of approved proposals: before 15 July 2018. N.B. “Facing the new political realities: Rethinking training for regional museums” conference will have a peer reviewed full texts Conference Proceedings. Accepted proposals/presenters will be informed about submission details in July 2018.